Radio Stations in South Africa are winning the hearts of many South Africans and are in various provinces of the country. Some popular radio programmes done by these stations might be cool in Capetown but are not even present in Johannesburg or Durban. This makes ranking South African radio stations very difficult. 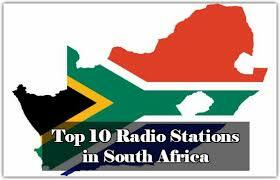 Notwithstanding, we can attempt to list out the top 10 radio stations in South Africa in no particular order based on popularity and quality of radio programmes they produce. First of all is Ukhozi FM which is a South African national radio station based in Durban, Kwa-Zulu Natal that caters to the needs of the Zulu-speaking community. Founded in 1960, it is also the largest radio station in South Africa and Africa. The station also has a broadcasting license from ICASA. Ukhozi means “eagle” in Zulu. Most noteworthy, the radio station has an estimated weekly listenership of over 7.5 million. METRO FM is a national radio station in South Africa owned by the SABC. The station broadcasts on FM Stereo as well as the DStv Bouquet Channel 181. Its first air date was in October 1986 and they have an estimated weekly listenership of over 6.8 million. Umhlobo Wenene FM is a South African national radio station that caters to the needs of the Xhosa language-speaking community. The station has a broadcasting licence from ICASA. The radio station’s first airdate was in 1960 and they have an estimated weekly listenership of over 4.6 million. Lesedi FM is a South African PBS radio network owned by the South African Broadcasting Corporation. The station broadcasts 24/7 in all nine provinces at 88.4 FM. With its first airdate being in 1960, it has an estimated weekly listenership of over 4 million. Motsweding FM is an SABC radio station based in Mahikeng, South Africa, operating mainly in Setswana. Formerly known as Radio Tswana, the country-wide broadcast station evolved from a Bophuthatswana Broadcasting Corporation, which had also been operating from Mmabatho in the former Bophuthatswana homeland. Thobela FM is the contemporary voice of Northern Sotho speaking/understanding South Africans. It broadcasts in many areas with different frequencies for each area. It has an estimated weekly listenership of 3 million. Jacaranda FM, previously known as Jacaranda 94.2, is a South African radio station, broadcasting in English, with a footprint that covers Gauteng, Limpopo, Mpumalanga, and the North West Province and also boasts a listening audience of 2 million people a week and a digital community of more than 1,1 million people a month. Kaya FM 95.9 is a commercial radio station that broadcasts from Johannesburg, Gauteng, South Africa. After its launch in August 1997, it is certainly one of the first frequencies to gain approval for private commercial radio in South Africa. They have an estimated weekly listenership of 1.8 million. 5FM is a South African FM radio station that follows a Top 40 music format and is owned by the South African Broadcasting Corporation, South Africa’s public broadcaster. Finally on our list is Radio Sonder Grense which is an Afrikaans-language radio service run by the South African Broadcasting Corporation for the whole of South Africa. It had its first airdate in 1937 and has a listening audience of 1.7 million people a week.